Something every person in the world has in common is the ability to dream at night. Whether you remember them or not, we dream every night. We have all experienced the strange array of dream types. Pleasant, outlandish, confusing, stressful, nightmarish, and just plain weird. Scientists believe that we dream for about 2 hours per night, usually cycling through 4-6 dreams. Our most vivid dreams usually occur during R.E.M. sleep, when the brain is most active. We’ve all had the nightmare where we’re naked at work during a presentation that we didn’t prepare for, and we’re all familiar with the awakening jolt of our body as we step off the edge of a cliff to our doom. But do our dreams affect our sleep quality? New studies have shown that our thoughts and attitudes affect our dreams, therefore affecting our sleep (1). But, dreams are still a bizarre phenomenon for researchers to fully grasp. However, they have found that waking people right as they enter R.E.M. sleep left them feeling confused, anxious, depressed, tense, and more (1). These test subjects were also found to hallucinate, gain weight, and lack the ability to concentrate. Perhaps the works of Austrian neurologist and founder of psychoanalysis Sigmund Freud can help us out here. Freud believed that dreams are a way for our subconscious to take shape. In this way, dreams reflect our desires, thoughts, and motivations. By dreaming, we can act out our secret desires free from the view of society. 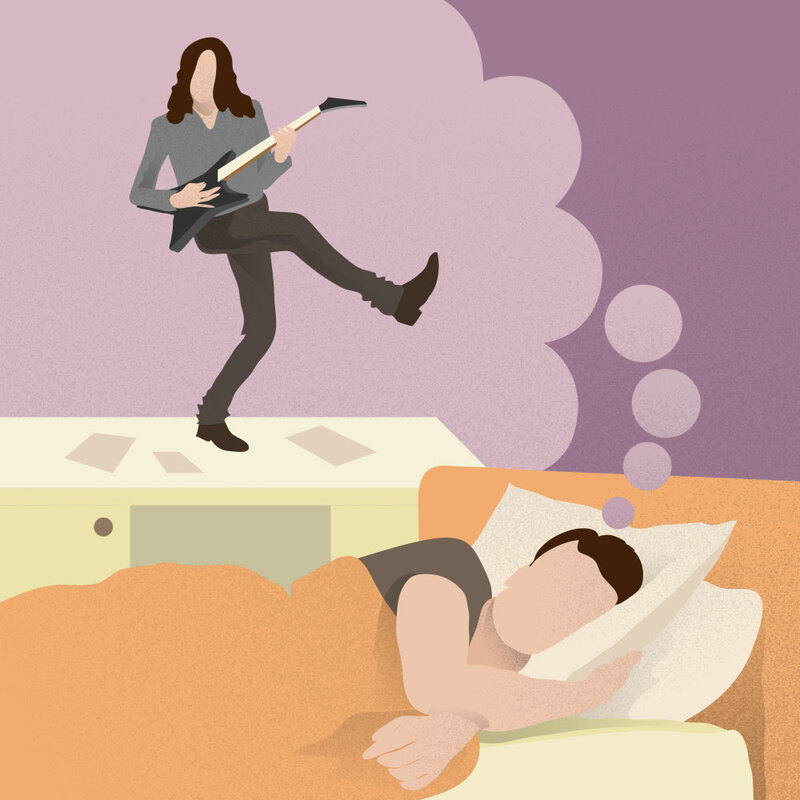 For example, if you dream of climbing onto your desk at work and putting on a one-man rock show, it could be your brain helping you live out that childhood dream of being a rock star. Dreams can also help us process our thoughts and life events as well (2). Stress dreams are very common and are most likely caused by going to sleep with unresolved problems or anxieties. While you still technically rest while dreaming, you may wake up the next day in a strong mood from your dream content. This is a “dream hangover,” and is more common than you think. 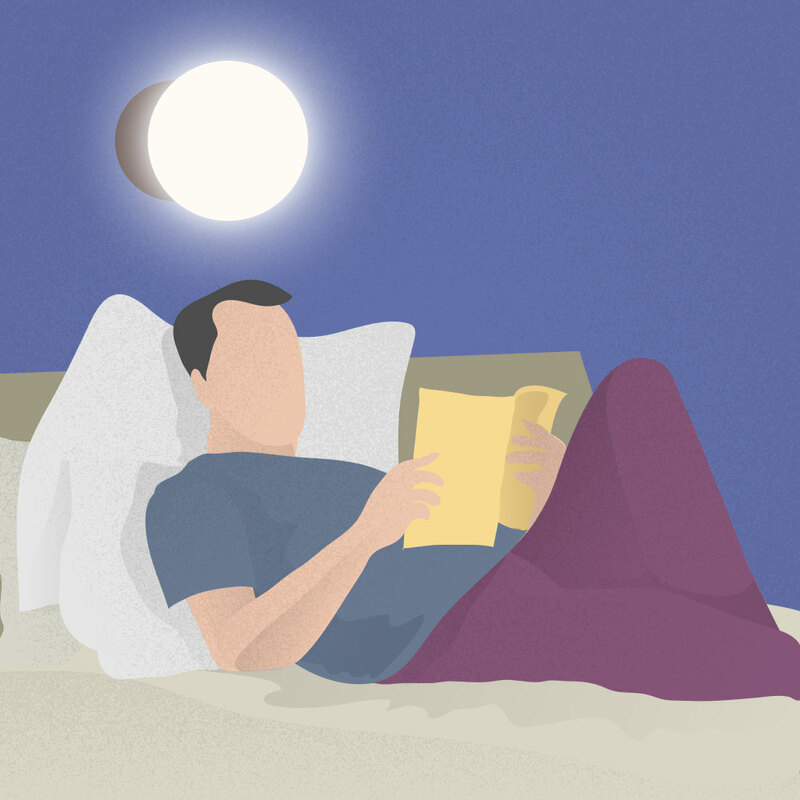 The best way to avoid stress dreams is to start a calming bedtime routine. This will help you detach your thoughts from the rest of the day and prepare you for pleasant dreams and healthy sleep. You can always come back to “reality” the next day, but try some of these things to prepare you for a night of happy dreaming. By setting a routine and learning how to detach your busy life from your sleep schedule, you’ll find that the stressful dreams and nightmares will start to disappear. By staying out of your bed until you are ready to sleep, your brain and body begin to associate your bed strictly with sleeping (instead of lounging awake). Basically, our dreams themselves don’t affect our sleep quality, but our thoughts and attitudes might cause us to have troubling sleep habits! If you keep waking up from stressful dreams or nightmares, take a mental inventory of your mood right before bed and work out some solutions. Hitting the hay without unwinding and taking some time for yourself may contribute to disturbing dreams that interrupt your sleep. So set a calming bedtime routine, climb into that hot bath, and enjoy a peaceful night of sweet(er) dreams. (1) “Facts About Dreaming" WebMD, www.webmd.com/sleep-disorders/guide/dreaming-overview#1. Accessed 12 Dec. 2018. It might... read to find out.